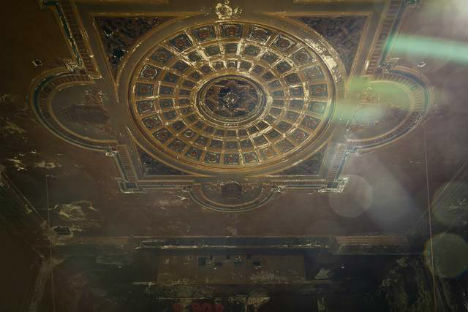 As a bodega in New York’s East Village closes and questions arise about the historical building’s fate, a photographer has captured a hidden gem located on the floor above the shop: an abandoned theater, which was in operation between 1926 and 1959. 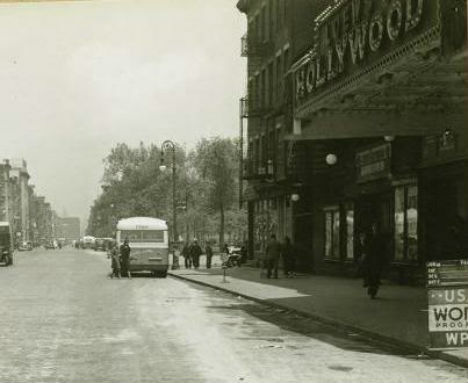 The photos, by Kevin Shea Adams, show what has become of Avenue A Theater above East Village Farm. 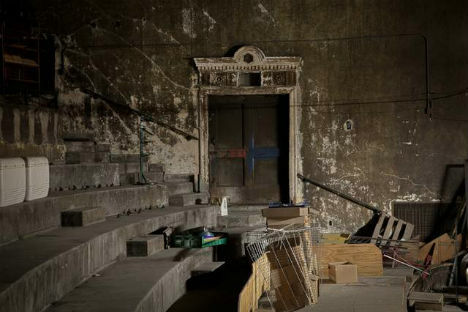 The exterior, which is a blank wall of windowless brick, gives little clues as to what may be inside, but neighborhood residents who remembered the old theater longed to get a glimpse of what might remain. 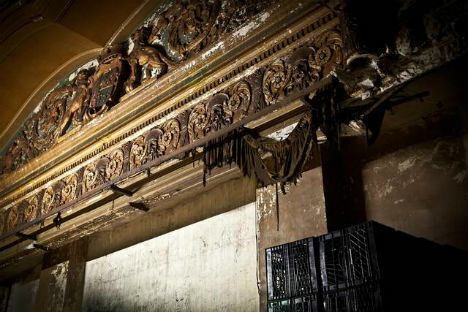 Adams’ photos reveal that the theater has been in use as a functional store room for the bodega. 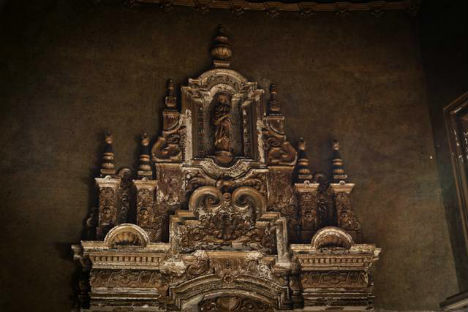 Ornate details like ceiling tins and relief carvings contrast with pallets covered in cardboard boxes. 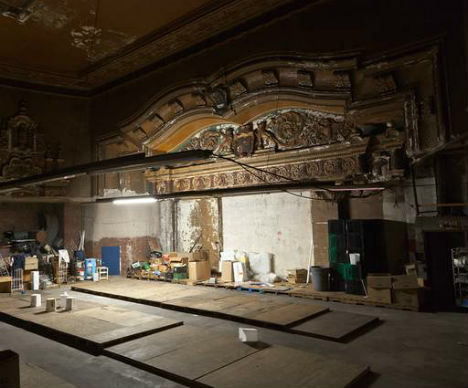 Without attention and restoration, the theater has inevitably fallen into disrepair. 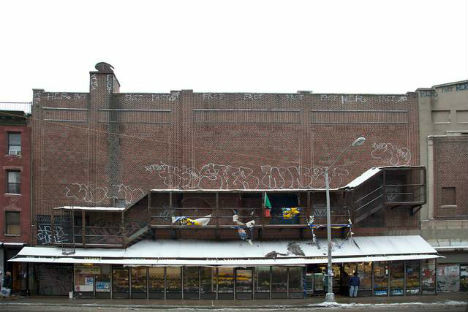 Sadly, as the bodega closes, the owners of the building reportedly plan to demolish the whole structure to make way for new development.